The force has woken! Consularâ€™s from all over the world have united to create this amazing sample collection, full of inspiration and the ancient Force of a Lightsaber which we can now reveal to you! These sounds will penetrate and control your minds as we take you on a journey deep into the Darkness binding your Souls together. Expect the energy fields between your speakers to create mayhem on the Dance floor as the sound waves take you on a galactic journey into space! 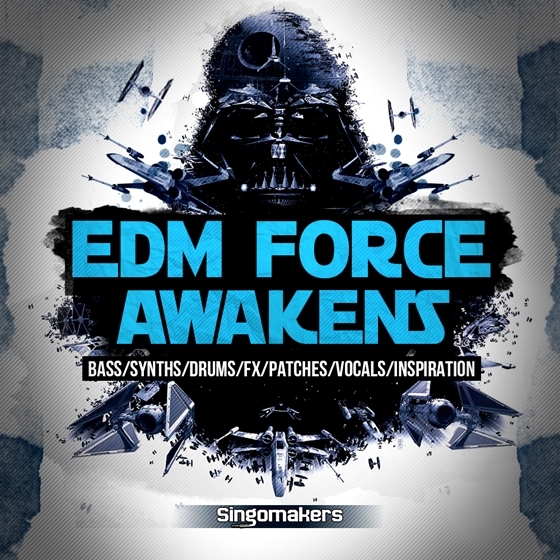 In this pack you will hear Jedi Drop Synth and Basses, Sith Vocals, Space Melodies, twisted Drum loops, Lazer modulations, cosmic FX and much more all inspired by the unlimited universe of Star Wars! In detail expect to find 1,7 GB of wav 24 bit samples, including 200 One Shots, 70 Melody Loops, 70 Drop Bass Loops, 30 Drum Fills, 70 Drum Loops, 100 Fx, 30 Vocal Shouts, 140 MIDI, 30 VST Spire Patches, 22 Bonus Loops, 10 Sampler Patches, 240 REX and even 4 Video Tutorials! Inspired by masters like KSHMR, Hardwell, Dannic, Fedde Le Grand, Marin Garrix, Nicky Romero, Tiesto, Sick Individuals, Axwell /\ Ingrosso, Swanky Tunes, Shapow, and Siths like Blasterjaxx, W&W, Ummet Ozcan, Dimitri Vegas & Like Mike, Showtek, Steve Aoki, Dyro and more! Approved by master Joda, wanted by Darth Vader and now available to download for you! Previous PostReveal Sound Spire v1.1.0 WiNNext PostNew download option for premium user: Google Drive!